Breakfast just keeps getting better. Last month, Taco Bell brought us to the verge of tears when they announced that they sold out of their amazing Nacho Fries. The popular fast food chain cranked out 53 million orders of the delicious fries, which amounted to nine million pounds of potatoes and 600,000 gallons of cheese sauce. The Nacho Fries may be disappearing until further notice, but now, Taco Bell is introducing another munchie item that will undoubtedly take control of my late night cravings. Taco Bell has announced that they will be testing a new product, the French Toast Chalupa. According to Food&Wine, the new menu item will initially be tested in Dayton, Ohio. 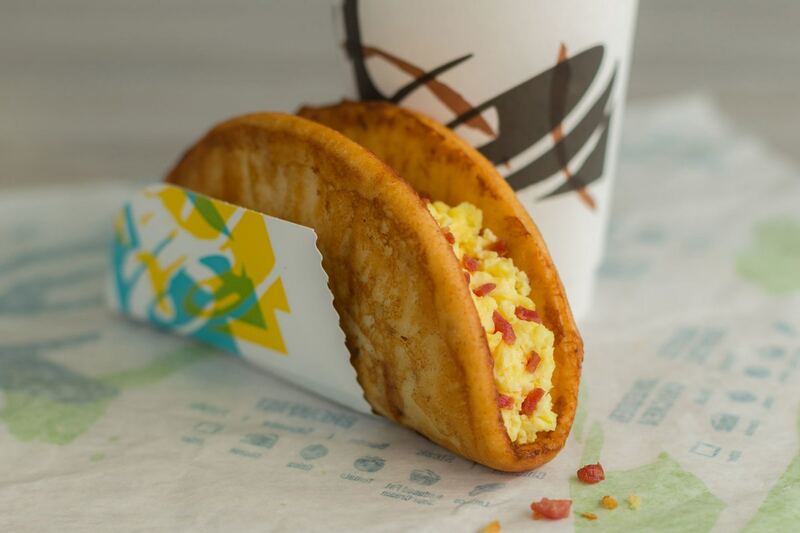 The fast-food chain says that their French Toast Chalupa is a “perfect foil” to the Naked Egg Taco, which features a fried egg as a taco shell. The fluffy and doughy french toast shell will be stuffed with eggs. Customers then have a choice of either bacon or sausage bits that will be sprinkled inside. As if that doesn't sound good enough, syrup will be served alongside the French Toast Chalupa, for dipping or drizzling purposes. We pray that the folks over in Dayton support the new French Toast Chalupa so much that Taco Bell is forced to introduce it to stores nationwide. The French Toast Chalupa will cost $2.49.